It’s important that the fight against cancer takes place every day, and across all policies, writes Catherine Castledine on World Cancer Day, writes Catherine Castledine. 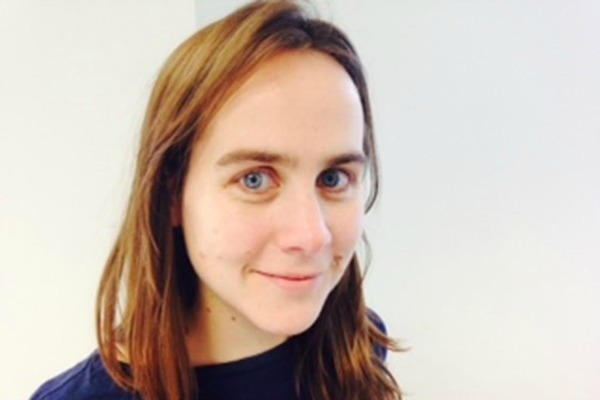 Catherine Castledine is EU public affairs manager at Cancer Research UK. New figures released today by Cancer Research UK show that one in two people living in the UK will develop cancer at some point in their lives. In Europe, 3.5 million people are diagnosed with – and 1.8 million people die of – cancer each year. Differences between European countries in the number of people being diagnosed with and dying from cancer come about for different reasons: lifestyle, how early people are diagnosed, the access they have to treatments and the quality of these treatments are all contributing factors. Yet the need for political action to beat cancer sooner is a common thread that unites all countries in Europe and worldwide. Today – World Cancer Day – is a timely opportunity for us all to commit to keeping cancer at the top of the health policy agenda. How research is regulated has a direct impact on the fight against cancer. A research-friendly environment is one where funding is consistent and predictable, and where researchers have the tools they need to flourish, within the limits of sound safeguards. Now is a pivotal moment –Europe’s research environment and policymakers have a crucial role to play. The European Parliament’s position on the EU data protection regulation – were it to be implemented – would be devastating for research. By limiting researchers’ use of personal data, the draft law would slow down or even stop some of the game-changing research going on today. It’s vital that the final text of the law exempts the research sector from the obligation to seek consent for the use of personal data, provided sound privacy conditions are met. At the same time, the research sector has serious concerns about cuts made to the EU’s research funding programme, Horizon 2020, by the new Commission President’s proposal for a new investment programme. Horizon 2020 has a vital role to play in keeping Europe healthy and competitive, and needs to be safeguarded. It’s vital that a guarantee is established to ensure that any money taken from this programme is channelled directly back into research. More generally, it is vital that the European Commission comes forward with a new model for ensuring scientific evidence is embedded into policies across the board, and that new policies are effectively reviewed for their impact on health and research. Promoting public health, and protecting the next generation from some of the things we know are harmful, like tobacco, is equally vital. In 2014, the EU bought in a game-changing piece of legislation that will save lives across Europe, the Tobacco Products Directive. But there’s no room for complacency, and it’s vital that the new Commission and Parliament do even more to protect people from the harmful effects of tobacco through the EU tobacco tax directive that we are expecting next year. Above all, it’s important that the fight against cancer takes place every day, and across all policies. Let’s all resolve to make World Cancer Day the first day in a renewed fight to beat cancer sooner. Cancer can be beaten, but not with the rigid mindset of the government, NHS England and the Home Office. For they have restricted and stopped the use of natural cures and cannot be used within the United Kingdom. In this respect the Chinese and eastern nations have used these cures for over 2,000 years and through time have determined which cure and which kill, far more safer than modern pharmaceuticals that have only been around for approximately 150 years. Indeed we have seen the dire effects of modern pharmaceutics in some cases, with the sheer lack of the test-of-time to see if if they are indeed safe and where they have done more harm than good. Today I was listening to a lady on BBC Radio Leeds who was interviewed over the interviewee’s programme period and who had been given 6>12 months to live having being diagnosed with cancer. She did not stand around and wait for it to happen and went to Germany where they have a more holistic view of treating cancer. This is based on healthier living including natural cures combined with modern scientific treatments. Therefore Germany is far more open to traditional cures from nature for its people. Now this youngish lady (her voice put her at around 30+ years of age but I could be wrong here) has beaten cancer and is still alive, now well again and feeling healthy again after 12 months. Although debateable, if she had gone through the present UK treatments regime, she may now not have been around. We have therefore like Germany to take a holistic view and combine all curative treatments at our disposal. These natural cures are also very cheap and would save the NHS billions every year. Therefore the government is totally wrong to ban these traditional treatments as they could very well save tens of thousands of lives every year in Britain lost to cancer (in all its forms). Indeed a few years back there was a six part 1-hour programme series on UK television that addressed traditional medicines and their cures. The programme series presenter was a professor of pharmacology so knew her stuff. In the first programme she was highly sceptical of traditional cures and where she implied that they were the things of witch doctors. But on the sixth programme after thoroughly examining and analysing traditional medicines, she turned full circle and unbelievably stated that ‘traditional medicines would be the medicines of the future’. So why after 2,000 years of trial and error to fully determine the ones that cure and the ones that kill, why have our government banned them? It appears to be due to the powerful pharmaceutical companies who see traditional cures (for cancer, heart disease etc, etc) as a threat to their bottom-line and profits and have most probably behind closed doors, made our politicians ban them, even though they are completely safe and cure. Therefore this has to change and where the health of the people has to rise above the wishes of the giant drug companies who have a near monopoly on the $1 trillion annual global industry and growing. We simply have to get government, NHS England and the Home Office to change their dire attitudes towards traditional medicines for all our long-term good. For they are based upon the cures that nature has provided, not man-made drugs that have to date, not stood the long-test of time that real cures need.